In case you haven’t noticed, this is a prime time for watching dance on primetime! Which of these new shows has your remote at the ready? “Breaking Pointe” rips back the curtain on the inner workings of elite Salt Lake City Ballet Company, Ballet West. It obliterates the notion that ballet is a dated art form and shatters pre-conceived stereotypes about the men and women who give their lives to the world of ballet. 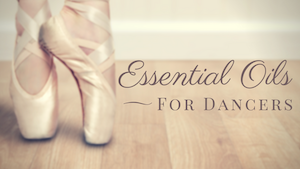 Beneath their perfect exteriors, these dancers have the toughness of linebackers, punishing their bodies to achieve perfection and dancing through injuries and pain. Led by Artistic Director Adam Sklute, a former dancer and Associate Director of The Joffrey Ballet, Ballet West and Ballet West II’s company of 48 dancers includes: Principal Artist Christiana Bennett, Soloist Ronnie Underwood, Demi-Soloist Allison DeBona, Demi-Soloist Rex Tilton, Beckanne Sisk, Kathleen Martin and Ronald Tilton. Bunheads is the tale of a Las Vegas showgirl, who impulsively marries a man, moves to his sleepy coastal town, and takes an uneasy role at her new mother-in-law’s dance school. From Executive Producer Amy Sherman-Palladino, the creator of Gilmore Girls, the series will be headlined by Tony Award®-winning actor Sutton Foster. 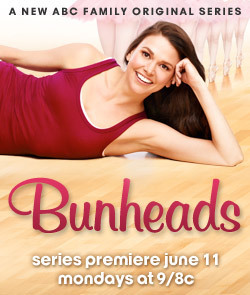 Bunheads is set to premiere Monday, June 11. “All the Right Moves” follows the tight knit friendships and journey of Emmy®-nominated choreographer Travis Wall (“So You Think You Can Dance”), Teddy Forance (recently featured on “Dancing With the Stars” as dancer and choreographer), Nick Lazzarini (winner of “So You Think You Can Dance” season one), and Juilliard-trained Kyle Robinson (“Dancing With the Stars”), four of the most successful and sought-after dancers in the industry. These close friends have banded together to take dance to a whole new level by launching their dance company called SHAPING SOUND. With careers, reputations, and friendships on the line, they’re striving to change the world of dance forever by giving background dancers a chance to shine. What do you think about all this dance on TV? What will you be watching and what will you skip? What do you think of the new premieres? Is this the saturation point or will there be more shows to come? How realistically do any of these shows depict the dance world? Sound off below in the comments! Ok, I’ll admit it: I’m totally hooked on Dance Moms! The culture at that studio (though probably entirely scripted) is so facinating to me. While I do think that dramas about dance are great and might get kids interested in taking dance classes, my fear with SYTYCD and Dancing With the Stars is that it takes butts out of seats at live performances and places them on sofas at home…. does anyone else share this concern? Or, would those viewers not be likely to go to a live dance performance anyway? Or, would they watch that dance on Wednesday on TV and be inspired to go see live dance on Friday? ?